Just a few days after making her first official appearance with Prince Harry, Meghan Markle showed her unwavering support for her Prince Charming when she attended the closing night ceremonies of the Invictus Games, a Paralympic event created by her boyfriend, on Saturday night in Toronto, Canada. The Suits actress, who has also been busy filming her USA show in Toronto, was joined by her mother, Doria Radlan, for the event. The mother/daughter duo looked on from their luxury VIP box at the Air Canada Centre. For the event, Meghan outfitted herself in black pants and a black button-down shirt. She paired the dark look with a chic tan trench coat. Her mother donned a peach-colored top and jeans. The closing night ceremony featured a speech by Prince Harry and performances by Bruce Springsteen, Bryan Adams, Kelly Clarkson, Bachman & Turner and Coeur de pirate. After Harry's speech, the Brit joined Meghan and her mom in their VIP box. The two stood, danced, laughed, and were even caught kissing. 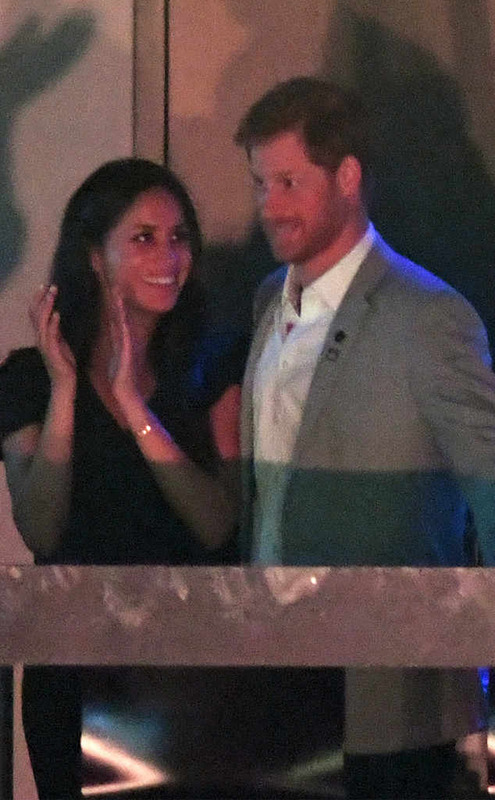 During the concert, Meghan was smiling, laughing, clapping and appeared to be having a good time with her mother, a yoga instructor and social worker. Earlier in the day, Harry caught the wheelchair basketball finals with former Vice President Joe Biden and his wife, Dr. Jill Biden, during the eighth and final day of the Invictus Games, which he founded in 2014. On Friday, Harry caught a game with 44th President Barack Obama. 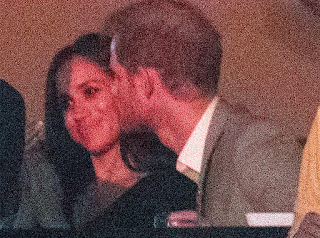 Meanwhile, Meghan and Harry made headlines on Monday when they made their first official public appearance together. The royal and the actress stepped out holding hands as they made their way to the wheelchair tennis game between New Zealand and Australia. 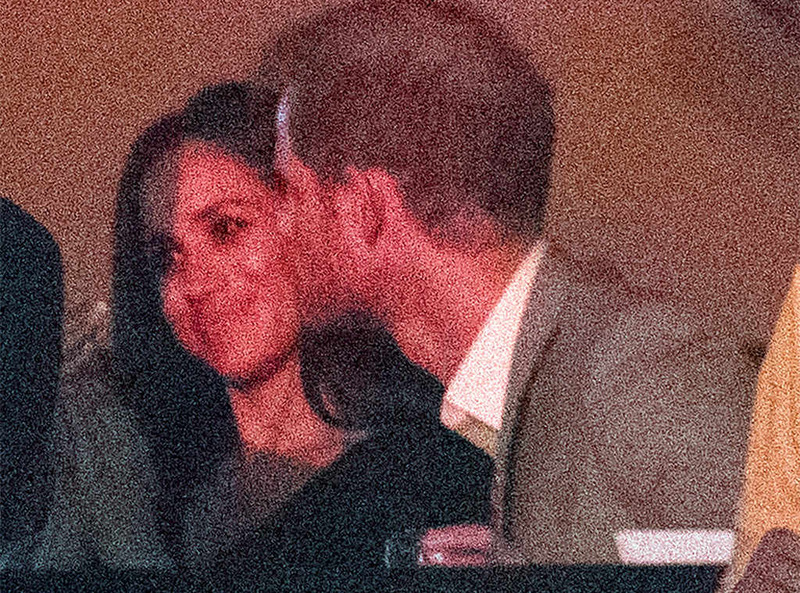 Since confirming their romance last November, Prince Harry and Markle have rarely been photographed together save for a few off-duty moments, like a London date night, sneaking a smooch after a polo match and on the way to Pippa Middleton's wedding reception over the summer. Monday's appearance marks the first time they've attended an official public event side by side. As an insider close to the royal previously told E!, he's "fast approaching" an engagement with the actress. "It's, of course, very serious and both Harry and Meghan are focused on the future," the insider added. "Engagement talk isn't just between the two of them, even some of Harry's closest aides are quietly expecting news before the end of the year." While a proposal remains to be confirmed, there was no shortage of smiles for these two today!